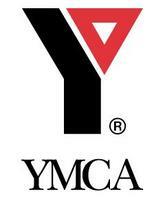 YMCA is a worldwide organization that operates following Christian faith and beliefs. In 1844, the organization was established with the purpose to motivate the young generation through Christian beliefs. It was though a UK based organization but now it operates it activities from Geneva, Switzerland. All programs organized by YMCA have strong influence on values of honesty, respect, caring and responsibility. The core values were formerly adopted by the US based YMCA branches in the year 1990, but later the entire association started respecting the value. These values were developed to help the children learn to differentiate between the right and the wrong.